I Created a Video Play Through of Combat Patrol | H.A.W.K.S. 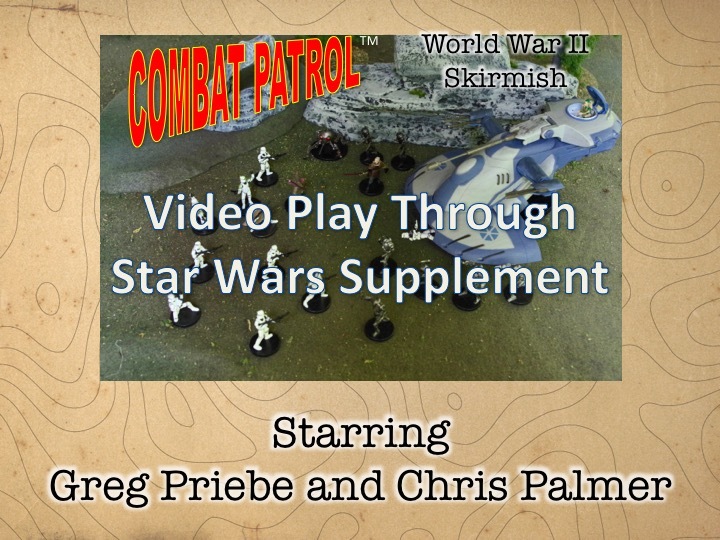 I created a video play through of a Combat Patrol™: WWII game using the soon-to-be-released Star Wars supplement. Thanks for Greg and Chris for helping out. I have not made any public announcements about the video, yet. I will hit all the on-line fora with this when we are ready to announce the availability of the supplement, which should be not later than Friday. For all three of you who read this blog, enjoy the sneak preview. Thanks Buck, will be watching in installments!